Trust for London, in partnership with Unbound Philanthropy, the Paul Hamlyn Foundation, City Bridge Trust and the Pears Foundation has established an initiative to support Londoners of all backgrounds to have meaningful opportunities to participate in the life of the city and the decisions that affect them. The Citizenship and Integration Initiative brings together funding from independent foundations, to work closely with the Mayor of London and the Greater London Authority to achieve this goal. The capital’s population is rapidly growing and changing. Roughly half of people moving to London are from abroad, and the other half are from the rest of the UK. But, whilst 640,000 Londoners have become British citizens in the past 11 years, 54 per cent of Londoners born abroad don’t hold a British passport. There are thousands of young Londoners who have grown up in the capital but cannot access higher education or work because they have irregular migration status. Brexit has made the future for many EU Nationals living in London uncertain. All of these groups want to contribute more to and fully engage with our society, but are not able to because of these barriers. We want all Londoners to be able to be active citizens who are involved and invested in their city. The first is to fund secondments from civil society organisations into the GLA's Social Integration team. The second is to support community-based projects that further the initiative's goals. The Mayor has appointed a Deputy Mayor with a specific brief for Social Integration, and the GLA has made an equivalent investment into their new Social Integration team. All partners in the Citizenship and Integration Initiative believe that the only way to achieve meaningful change towards its goals is for civil society organisations and the public sector to collaborate, drawing on the strengths and resources of all. The CII has now funded secondees into the GLA’s Social Integration Team from Migrants Organise, Citizens UK, Coram Children’s Legal Centre, Just for Kids Law (Let us Learn), New Europeans, Hope Not Hateand Project 17. The GLA has made an equivalent investment into staffing posts in the Social Integration Team. The secondees develop and deliver projects and policy ideas that progress the shared goals. In the first year, the secondees also supported the development of the GLA’s wider Social Integration Strategy, ‘All of Us’ which was launched in May 2018. We will also be funding a further two secondments into the Mayor's Social Integration Team from May 2019. Supporting Londoners to be active citizens: This post will take forward findings from the Citizenship Ceremony pilot projects and other GLA research on active citizenship. This may include identifying other key intervention points to increase active citizenship. This post will also focus on how we can embed learning from both the citizenship ceremony and voter registration drive into new and existing GLA programmes to increase civic participation. 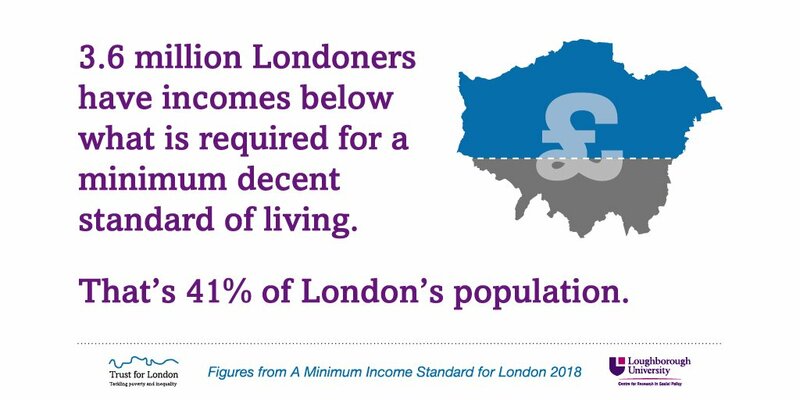 Tackling Barriers and Inequalities: This post will support the GLA’s growing programme of work to support Londoners with insecure immigration status. The post holder will work closely with secondees leading work on young Londoners with insecure status, on European Londoners and on creating a more hospitable environment. A key focus of the role will be development and delivery of projects to increase access to legal advice, in particular building the capacity and co-ordination of the immigration legal advice sector in London. A pilot to test the provision of legal advice to children with insecure status, based in primary schools and rooted in a community organising approach with parents. This is being delivered by Citizens UK in partnership with Coram Children's Legal Centre and King's College London. I want every Londoner to be able to actively participate in the life of our great city – that’s why we are working to help them access their citizenship rights, have their say in the decisions that affect them and feel like they have the opportunity to get to know their neighbour. By joining forces with the Trust for London, civil society organisations and independent funders, we can bring together our collective expertise and networks to achieve real change for Londoners and reach our shared goal of making London the most inclusive and open city in the world. This model is inspired by similar initiatives in the USA, but we believe that it is the first time it has been delivered here at scale. We have appointed Renaisi as our independent learning partner to draw out learning, using this to inform practice across and between sectors, and sharing with other stakeholders, particularly in other city regions with devolved powers. All governance and regulatory oversight lies with Trust for London. An Advisory Board to the Initiative includes Debbie Weekes-Bernard, Deputy Mayor for Social Integration, Social Mobility and Community Engagement, contributing funders, civil society organisations and independent experts.